■ Capital equipment that is multipurpose (i.e., used for endoscopy-monitors and cameras) and is used by different specialties contributes minimal added expense on a per case basis. ■ On the other hand, the da Vinci robot, which costs over $1.4 million with a $100,000 yearly service contract,can add over $1000 per case even if utilized for 300 cases per year and amortized over seven years (7). Such costs are not reimbursed to the hospital on a case basis and, in the case of the robot, can represent a significant financial burden. The cost of operative equipment used during laparoscopic surgery can also vary significantly. Certain items such as trocars can be reusable or disposable while the decision about which hemostatic technology to use [e.g., Hem-O-Lok® clipsb ($20) vs. an endoscopic stapler (Endo-GIA® at $144 or with reticulating load at $161) or endoscopic 5-mm clip applierc ($183)] can significantly influence the overall operative cost. For those performing hand-assisted laparoscopic procedures, a Gelport® Kitd comes with a 10-mm clip applier, 2- to 12-mm and 2- to 5-mm trocars, but costs $495. In specialized procedures, such as laparoscopic partial nephrectomy, the cheapest option to achieve hemostasis is suturing but this is technically difficult. Adjunct technologies such as aIntuitive Surgical Inc., Sunnyvale, CA. bWeck Closure Systems, Research Triangle Park, NC. cU.S. Surgical Corp., Norwalk, CT.
dApplied Medical, Rancho Santa Margarita, CA. eFusion Medical Technologies, Mountain View, CA. Operative times play a large role in determining overall operative cost as most hospitals incur a start-up cost for a procedure with additional costs calculated at 15- or 30-minute intervals. The main financial advantage for laparoscopy is the decreased hospital stay. The net effect is a disincentive to perform laparoscopy due to the learning curve and increased operative times for many procedures. radiofrequency coagulation can add over $1000 per case in equipment cost (8). Furthermore, agents such as fibrin glue and FloSeal® Matrixe can cost an additional $410 and $192, respectively (9). One factor that will affect operative cost is the change in cost of laparoscopic equipment with time. Though one would expect equipment costs to decrease with time (analogous to the retail personal computer market), in evaluating costs from two major suppliers of generic laparoscopic equipment (trocars, clip-appliers, staplers, endocatch bags) from the year 2000 to 2004, we found an increase in prices across the board of greater than 4% annually for hospitals with high volume contracts, despite an increase in number of procedures performed nationwide. The increase was even greater for hospitals with lower volume. Unfortunately, there is also no incentive at this time for reducing the cost of robot-related products due to the lack of market competition. The cost of anesthesia also increases at similar time intervals. As such, each additional hour in the operating room can range between $600 at our county hospital and $1400 at the local children's hospital (6,10). Since the learning curve for many laparoscopic procedures is reflected in the operative time, urologists at the start of their learning curves will incur significantly more costly procedures overall. The impact can be significant as learning curves vary widely by procedure. For handassisted laparoscopic nephrectomy, Patel et al. reported that their operative time decreased from over 275 to less than 175 minutes only after their first 40 cases (11). Even more discouraging, Guillonneau et al. performed laparoscopic radical prostatectomy in over four hours for the first 100 cases before reaching a rate just under three hours (174 minutes) (12). On the other hand, some claim shortened learning curves and operative times with use of robot-assisted technology. Ahlering et al. noted a learning curve of only 12 patients to reach four-hour proficiency for robot-assisted prostatectomy with the mean operating time subsequently decreasing to 3.45 hours (range 2.5-5.1) (13). Whether this is sufficient to overcome the costs of the robotic technology remains to be demonstrated (7). The main financial advantage for laparoscopy is the decreased hospital stay. Room and board costs per day at our institution are approximately $400 and charges are significantly higher. As such, the reduced number of inpatient hospital days and earlier return of diet allows for costs saving both in room and board and intravenous fluids and medication. Such savings can compensate for added expenses in the operating room and result in cost superiority of some procedures, such as laparoscopic partial, radical and donor nephrectomy (2,8,14). Other procedures can become cost-equivalent/superior depending on the surgeon's operative time and length of stay at the hospital (3,4,6). There are two competing issues that affect urologists' income from surgical procedures: reimbursement rates and operative time. While the operative approach should not be affected by prospective income from a procedure and, in an ideal world, a urologist should be reimbursed for the work and effort provided, this is not the case. In general, Medicare reimbursement rates for urologic procedures have decreased over the last 10 years. The Medicare reimbursement rates in Texas over the last 10 years for radical retropubic prostatectomy and radical nephrectomy decreased $668 ($2262 vs. $1594) and $457 ($1700 vs. $1243), respectively (15). Fortunately, reimbursement for laparoscopy procedures, such as radical nephrectomy, prostatectomy, and pyeloplasty, has stayed stable (<$30 change) from 2001 to 2004. However, laparoscopic Medicare reimbursement rates, in 2004, are only slightly higher than open equivalent reimbursement rates for nephrectomy ($92), prostatectomy ($95), and pyeloplasty ($147). Literature reviews performed to compare operative times for common procedures uniformly demonstrate shorter times for open versus laparoscopic procedures. Open surgery is shorter than laparoscopic pyeloplasty (168 minutes vs. 180 minutes) (4) and radical retropubic prostatectomy is on an average 40 minutes shorter than laparoscopic prostatectomy (160 minutes vs. 200 minutes) (7,12,16-19). 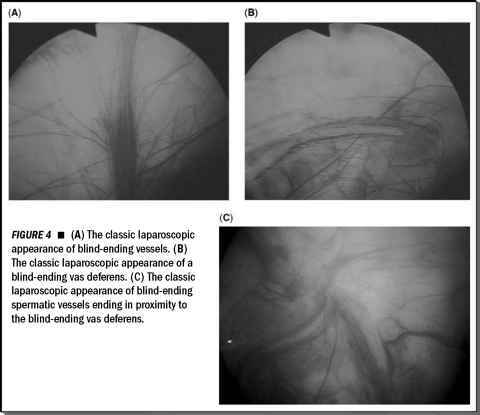 Although nephrec-tomy times reported are similar between open and laparoscopic techniques among experienced laparoscopists (20) the (6,21-24) times are achieved only after the learning curve has been overcome. Urologists early in their learning curve have longer operative times. As such, the current reimbursement rates may not provide equal compensation for laparoscopic procedures on an hourly basis (15).